After Builders Cleaning Commercial & Residential Harrow HA | Quality Property Care Ltd. This is a service suitable for both industrial and domestic clean up jobs, as our professionals have both the equipment and the knowledge to accommodate the needs of both. We are able to clean the entire home or do as much as we can for the hours you have booked. Depending on the condition of the property, you decide how much we clean, we come prepared, we clean, you are left satisfied. The service itself covers every element of after construction cleaning, from removing paint spots from window sills and door frames, to the deep clean of all waist coating, doors, skirting boards, sockets, fixtures and switches. We also de-lime and de-scale any bathrooms or kitchen tiles, as well as clean all woodwork and polish all surfaces if necessary. Along with that we perform deep-cleaning of living rooms, kitchens, bedrooms, and common areas including fixtures as well as cupboards inside and out. We remove any debris leftover and rubbish from the construction work, professionally clean all window frames, windows and sills from paint, leftover debris as well as plaster. In the service we can also include steam cleaning, wall washing, pressure washing, tile scrubbing, window cleaning, hard floor cleaning, carpet and upholstery cleaning, wood, floor polishing, patio and driveway cleaning, rubbish removal as well as night cleaning if you are so inclined. We can work only after building work has completely ceased as any interference with our cleaning may lead to further contamination of the home and make our work harder. In terms of scheduling you can call us, enjoy same day booking with minimum hours available, no strings attached, contracts and deposits required. Bath cleaned, rinsed and left shining, with shower recess scrubbed, all shower fittings and glasses cleaned, with special attention to the vanity and basin. Toilets are taken care of with proper scrubbing and disinfection including their base and around the outlet pipe and behind the tank, with a proper polish for all mirrors. 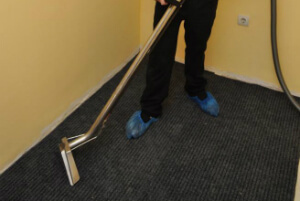 We provide vacs for floor mopping and hoovering with an eye for the finer details like light switch and power socket cleaning. Fittings and tiles will be left shining and cleaned, waste bin cleaned from any leftovers and paint and left shining with additional attention to door frames top to bottom. Refurbishments can not finish successfully in case you leave the mess after the building job. But cleaning all those grime, dust and stains is a huge challenge, isn`t this? The strategy of Quality Property Care Ltd. friendly after builders cleaning company Harrow HA is to discharge from at least one of the chores you have during the repairs. Thus, you save money and time! And once the after builders cleaning is over, you will immediately be ready to see the results of your building job. Sounds good, doesn’t it? In addition to this, you receive free cleaning tips from the helpful and enthusiastic after builders cleaners! For more than ten years, Quality Property Care Ltd. has been providing both domestic and commercial after builders cleaning services to the people and businesses in Harrow HA. The professional cleaning service is done by very thoroughly checked, reliable, fully insured and trained cleaners. The after builders cleaning services is hourly based, and naturally the number of hours booked depends on the customers preferences, as well as the volumes of debris and dust, the overall condition and the size of the property of the premises after the construction or refurbishment work. The company offers high quality and very expedient post-renovation cleaning and contract construction clean up services, and can also provide builders waste removal and a number of other cleaning and maintenance services.